Pour vodka, grapefruit juice and pineapple juice into a shaker with ice cubes. Shake well and strain into a sugar rimmed cocktail glass. Oh yum! Looks so refreshing! I CANT WAIT TO TRY THIS. GREAT SITE! 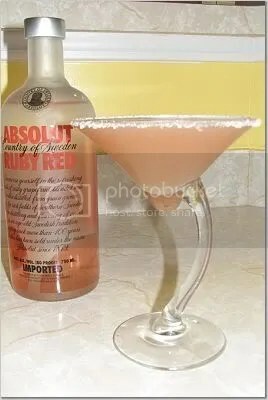 I love the grapefruit martini recipe! I had one at a restaurant a few weeks ago and have been trying to duplicate it w/o luck and thanks to you, I did it! FINALLY!